• Knee pad pockets reinforced with coated Kevlar® for extra durability. • Features adjustable elastic string that keeps your Snickers Workwear Floorlayer knee pads (78283) in position. Material: 65% Polyester, 35% Cotton, 250 g/m². Featuring 100% Polyamide Cordura® reinforcements, 54% Polyester/24% Aramide/13% Polyamide/9% Polyurethane knee reinforcements. 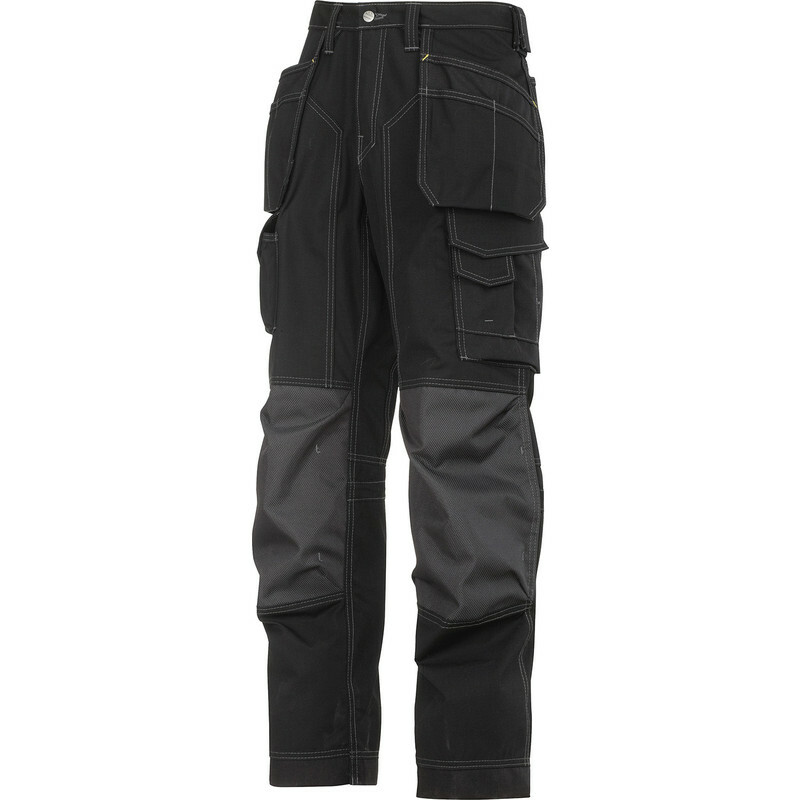 Snickers 3223 Rip-Stop Floorlayer Holster Pocket Trousers 33" L Black/Grey is rated 3.0 out of 5 by 1. Rated 3 out of 5 by KENNYB1968 from Good quality The inside leg on these is 36 inch, so for basketball players only.